What was Halloween originally called? What day is the holiday held on? Who is Pumpkin Jack? Well, then put yourself to the test with Halloween Trick or Treat? 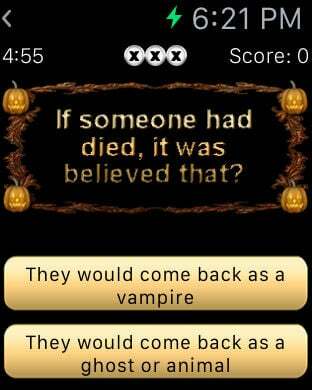 Quiz, a fast paced Halloween trivia quiz app that is fun for adults and kids alike. With Halloween Trick or Treat? 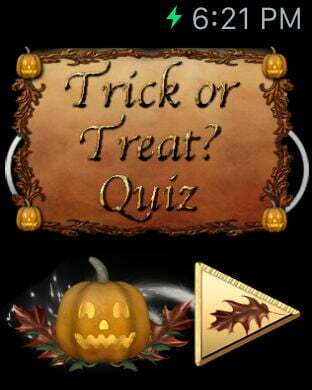 Quiz, you receive three chances to complete a challenging quiz about the superstitions, traditions and customs of Halloween. Spooky music accompanies the festive Halloween graphics that make this game tons of fun. Questions appear on the screen with two answers to choose from. If you're tricked and get the wrong answer, you'll lose a life. Choose the right answer, and you're treated to points. 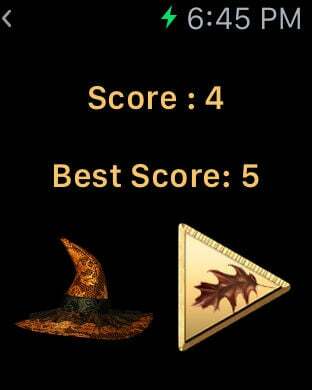 As you increase your score, you'll be awarded fun virtual Halloween achievements such as a magic wand, witch's hat, cauldron, potion and owl when you get questions right. Get all the answers correct in the time allocated for the ultimate Halloween achievement! Can you become one of the top scorers and earn a place on the leaderboard? There's only one way to find out! Download Halloween Trick or Treat? 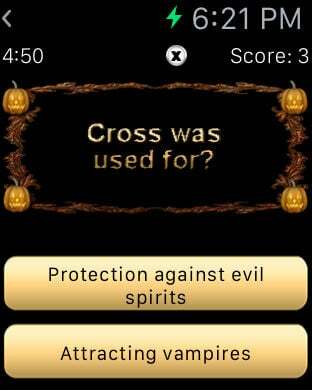 Quiz for your iOS device, Apple Watch or Android device and get into the Halloween spirit. - Gain points and receive virtual Halloween achievements like a magic wand, witch's hat, cauldron, potion, owl when you get questions right.